David Pipe was born to train racehorses. Son of Martin Pipe CBE, fifteen times champion National Hunt trainer, and the most successful jumps trainer in British racing history, David fast carved a niche for himself as an extremely successful and talented Point-to-Point trainer. Indeed, during his six seasons as a trainer of Pointers, David amassed no fewer than 164 winners (including 47 Point-to-Points and two Hunter Chases in his final season) – each weekend he seemed to return with a winner! David also amassed a wealth of knowledge not only from the champion British jumps trainer, but also through experience with some of the worlds other leading handlers including Michael Dickinson in America, Cricquette Head-Maarek in France and Joey Ramsden in South Africa. Since his father’s retirement from training at the end of April 2006, David has channelled his talents towards the Pond House string – a role which has provided a varied, challenging and rewarding role alongside his record-breaking father who now occupies the position of assistant trainer. David’s fledgling career met with unparalleled success, indeed his first winner Standin Obligation (Kelso, 9th May 2006) was quickly followed by two more, Wee Dinns and Papillon de Iena making it a treble for the day. By the end of the season the tally stood at 134 winners (more than any other trainer) and prize money won was in excess of £1.6million. 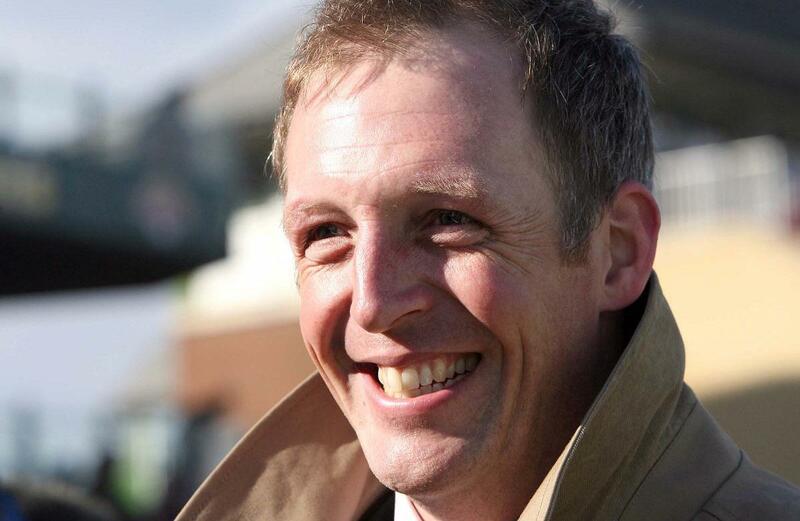 David had finished third in the trainers championship and had along the way become the first trainer to saddle one hundred winners in his debut season and also landed his first Cheltenham Festival winner, Gaspara in the 2007 Fred Winter Juvenile Hurdle who was owned by his father. Since then the rich tradition of success at the highest level has continued and Pond House racing stables remains the winning most training establishment in Great Britain. During his tenure with a trainers’ licence David has enjoyed victory at every jumps track in Britain as well as at all of the most prestigious meetings; a Grand National winner, 14 Cheltenham Festival winners and a Hennessy Gold Cup over jumps as well as a Royal Ascot winner and Chester Cup success on the level to name but a few. Meanwhile he has also surpassed 1,000 career winner mark, all of which means that the Pipe name remains synonymous with success within the horse racing industry. To find out more about David and the team at Pond House, please enjoy browsing the remainder of the website or follow us on Twitter @DavidPipeRacing or the Facebook page "David Pipe Racehorse Trainer".